Cover for skiing / snowboarding off-Piste, including back country off-piste, is included with all of our Winter Sports add-ons. You must be either with a qualified instructor or in a group of at least 3 with a working communications device. Helicopter Rescue cover is included. If you’ll be working at a ski resort or travelling just to ski/snowboard for a season, our Winter Sports add-on can cover skiing/snowboarding in your leisure time. Bar work, lift operator work and work of a manual nature is covered with our Activity Pack add-on. Non manual work like working in a chalet or restaurant is covered automatically. We have 4 different options for our Winter Sports add-on. You can include cover for 14, 28 or 56 days of Winter Sports activities to be used over any space of time that you like, or you can include cover for the entire duration of your policy with our Unlimited add-on. Necessary transport costs (including helicopter evacuation) and subsequent treatment costs are covered. Cover for loss, theft or breakage of owned or hired Winter Sports Equipment. Cover for hiring winter sports equipment to allow you to continue your activities as a result of loss, theft or breakage of winter sports equipment. Cover for the proportionate value of any ski pass, hire or tuition fee necessarily unused due to injury or illness of an insured person resulting in an inability to ski/snowboard or loss, damage or theft of a ski pass. Cover for additional transport costs to reach an alternative resort for each 24 hour period that it is not possible to ski, as a result of a lack of snow or avalanche at your pre-booked resort following the closure of skiing facilities. Big Cat’s Winter Sports Extension provides great-value cover for those wishing to make the most of the snow. As well as standard skiing and snowboarding, you’ll be covered for cat skiing, Heli skiing, snow skiing, cross-country skiing, off-piste skiing / snowboarding, and snowmobiling. Note that cover excludes participation in any competitive winter sports or the use of bob sleighs or skeletons, while off-piste winter sports will only be insured if you are with a qualified instructor or in a group of not less than 3 people with working communications device to call for help. 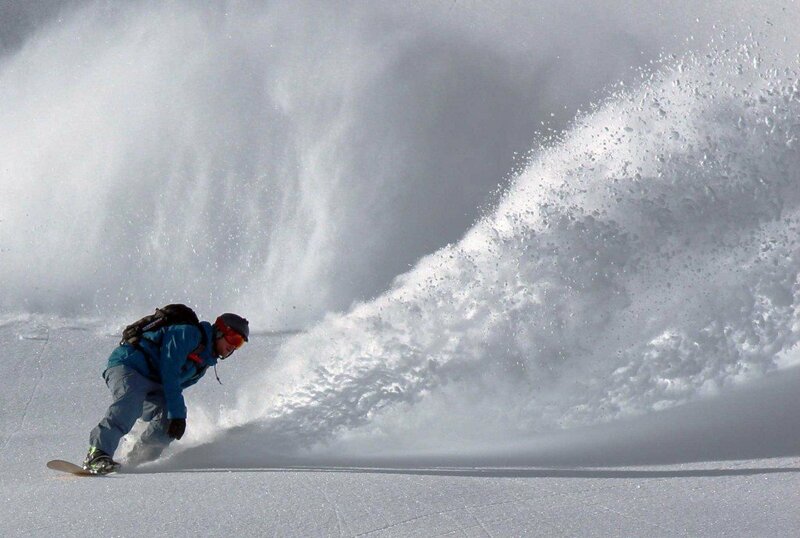 Key Benefits of Winter Sports Travel Insurance. Emergency Medical and Repatriation Expenses up to £10 million. Personal Liability up to £2 million. Winter Sports Equipment - owned up to £600 or hired up to £ 300. Winter Sports Equipment hire, up to £350. Ski Pack up to £375. Baggage & Personal Effects up to £2,000. Legal Expenses up to £15,000. Personal Money up to £500. Passport and Visa up to £300. Money-back 21-day cooling off period if you decide to cancel prior to departure. What does the Winter Sports Extension cover? Winter Sports Equipment – Loss theft or breakage of your own Winter Sports Equipment is insured up to £300 Budget, £450 Standard or £600 Premier per person, subject to a limit of £100 Budget, £200 Standard or £250 Premier for any single item, set or pair. Loss theft or breakage of hired Winter Sports Equipment in your charge is insured up to £150 Budget, £225 Standard or £300 Premier per Insured Person. Winter Sports Equipment Hire – Up to £150 Budget, £200 Standard or £350 Premier per Insured Person in respect of replacement Winter Sports Equipment hire following loss, theft or breakage, or misdirection or delay in transit of an Insured Person’s Winter Sports Equipment preventing their use for not less than 12 hours. Ski Pack – Up to £200 Budget, £250 Standard or £375 Premier per Insured Person in respect of the proportionate value of any ski pass, hire or tuition fee necessarily unused following accident or sickness of the Insured Person, or loss theft or damage of the ski pass. Piste Closure – Up to £15 Budget, £20 Standard or £30 Premier per day per Insured Person to a maximum of £150 Budget, £200 Standard or £300 Premierfor additional transport costs to reach an alternative resort necessitated by a lack of snow or avalanche at your pre-booked resort following the closure of skiing facilities. Avalanche Closure – Up to £150 Budget, £200 Standard or £300 Premier per Insured Person in respect of additional travel and accommodation expense necessarily incurred as a result of the outward or return journey by public transport being delayed for 12 or more hours beyond the scheduled arrival time. How many days can I ski/snowboard? You can choose the cover duration you need. Remember, test the different durations, sometimes it's equal value - or better, to opt for the entire duration option. We've allowed different durations of cover as some people requiring a long policy may only be skiing for a short amount of time, and don't need cover for the entire duration. Can I work in a bar while abroad? As Bar work is classed as Permitted Manual Work, you will need the Activity Pack to be covered – even if you’re just pouring drinks! The Activity Pack will also cover you for a load of other things, see the list here. Do i have to tell you how many days I'll be Skiing / Snowboarding? With the set day packages (14, 28, 56) we don’t need you to tell us, at any point, when you will be skiing / snowboarding. In the event of a claim, the claims handlers will check your name against your ski pass and determine how many days you’ve used that way. Freestyle Skiing/Snowboarding or Skiing/Snowboarding in snow/terrain parks is not covered with any of our policies.